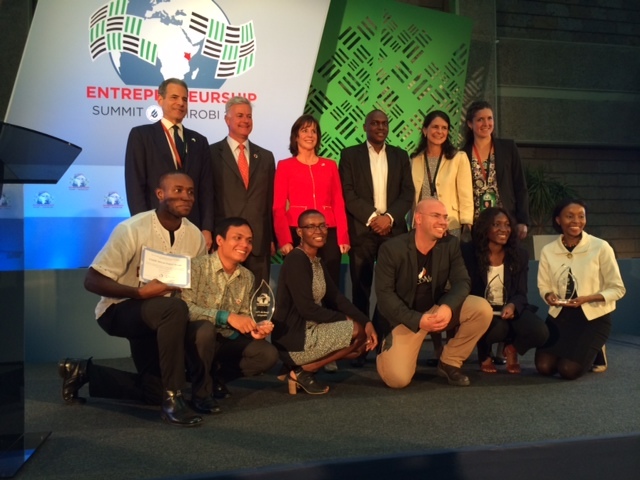 The sixth annual Global Entrepreneurship Summit took place July 25-26, 2015 in Nairobi, Kenya. 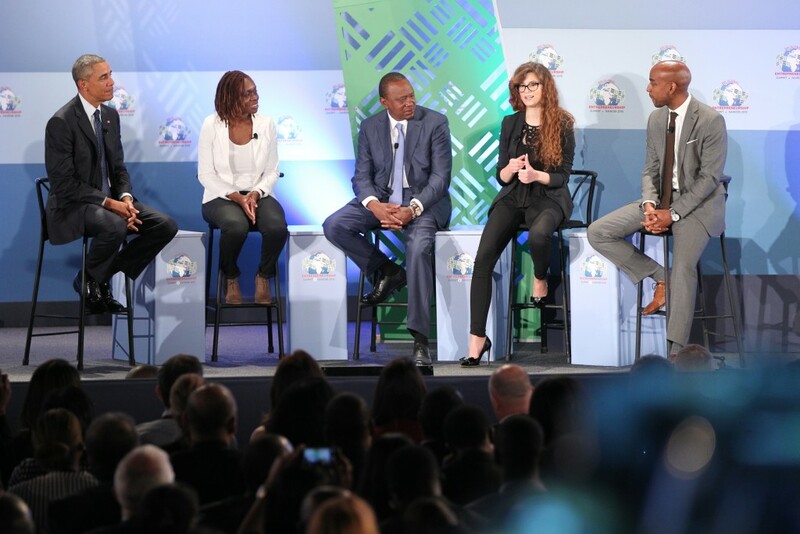 Organized by the U.S. Government, the event seeks to bring together entrepreneurs at all stages of business development, business leaders, mentors, and high-level government officials. Through GES, the U.S. Government seeks to demonstrate its commitment to fostering entrepreneurship around the world. 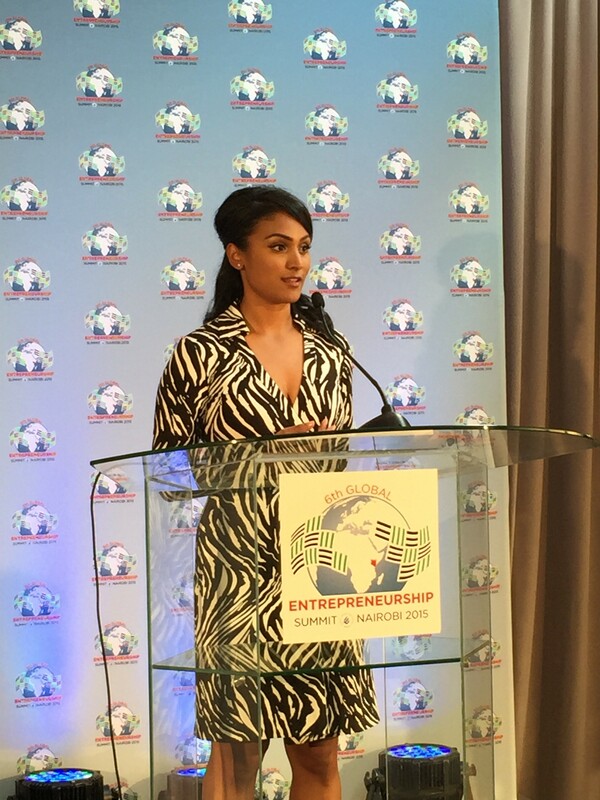 Since 2010, when the U.S. hosted the first Summit in Washington, D.C., GES has expanded to a global event hosted by the governments of Turkey, the United Arab Emirates, Malaysia, and Morocco. The Washington Post has published the first installment in an ongoing series examining the human cost of reporting the news around the world. As a professor at the Philip Merrill College of Journalism at the University of Maryland, Dana Priest organized a student project called “Press Uncuffed” to raise awareness of imprisoned journalists and funding for the Committee to Protect Journalists. 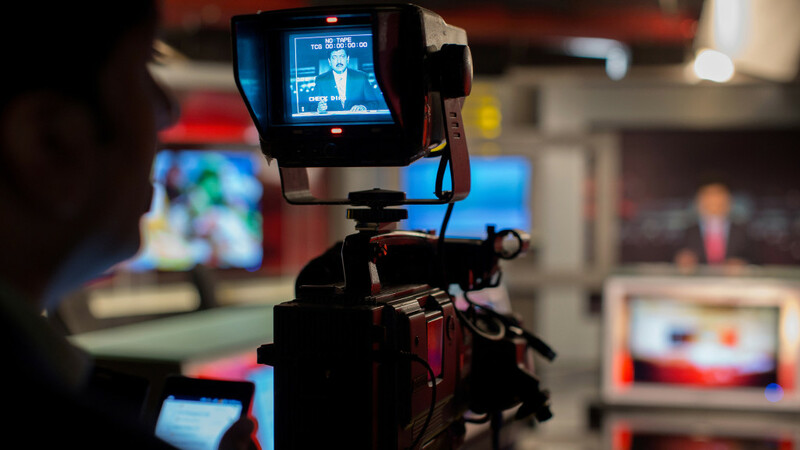 “The attack on Mir and the continuing death threats against him are emblematic of a broad backlash against transparency and independent journalism in many parts of the world. HBO has announced that “The Brink” starring Jack Black and Tim Robbins will be renewed for a second season. 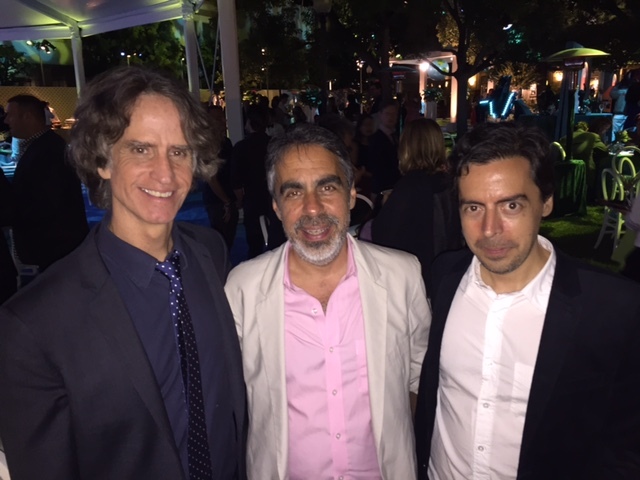 Kim and Roberto Benabib created the series, which was helmed by HBO go-to Jay Roach. 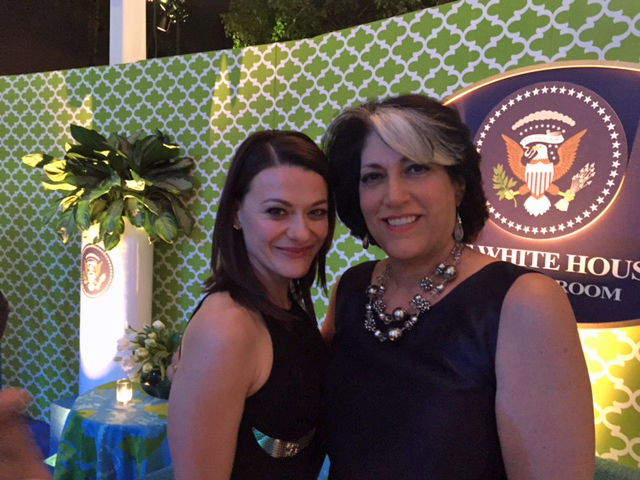 Tammy Haddad is a consultant to the show (shown here with cast member Maribeth Monroe). 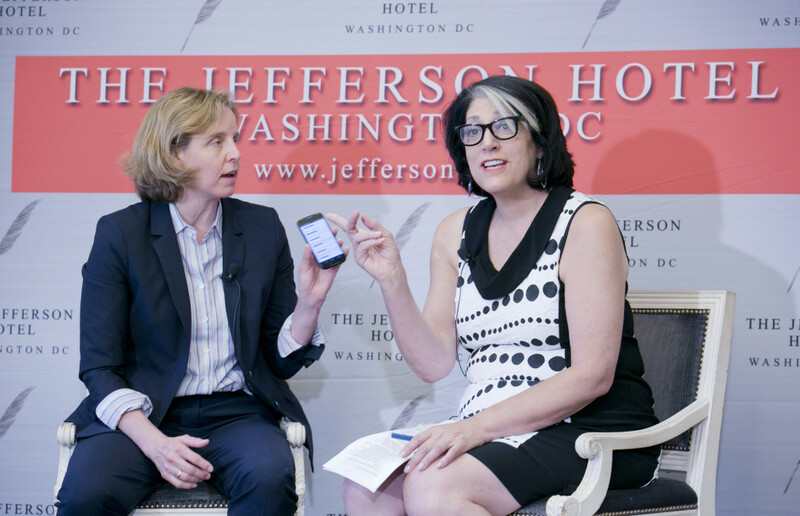 It was a mix of Silicon Valley and Washington veterans at the Jefferson Hotel for the Washington Women Technology Network (WWTN) lunch honoring Megan Smith, the White House Chief Technology Officer. Connie Milstein, Hilary Rosen and Tammy Haddad co-hosted the event with Karen Appleton, SVP Industry and Founder of Box.org. Guests heard from Smith, the president’s top technology adviser, about plans to bring technology solutions to some of the country’s biggest challenges. “We have started a ‘cyber-sprint’…very quickly to audit everything that’s going on and make a couple really fast upgrades that we need to just fill a bunch of holes. … I think what you’re seeing is a real collaborative set of people coming together and starting to work together,” Smith explained. Download the Washington Insider podcast from the event. WWTN guests included FCC Commissioner Jessica Rosenworcel, Didem Nisanci, Jen Kuhn, Kelley McCormick, Juleanna Glover, Holly Page, Melissa Moss and Heather Podesta. Top government technology experts included Box’s Sonny Hashmi, a former General Services Administration CTO; Ann Dunkin, CIO of the EPA; and Christine Harada, acting Chief of Staff at the GSA. Media was well represented by Betsy Fischer Martin, Jennifer Maguire and Kim Kingsley. Washington Women Technology Network is a women’s leadership forum founded by Connie Milstein, Tammy Haddad and Hilary Rosen to include women in technology, media and politics. Watch the livestream from the event. 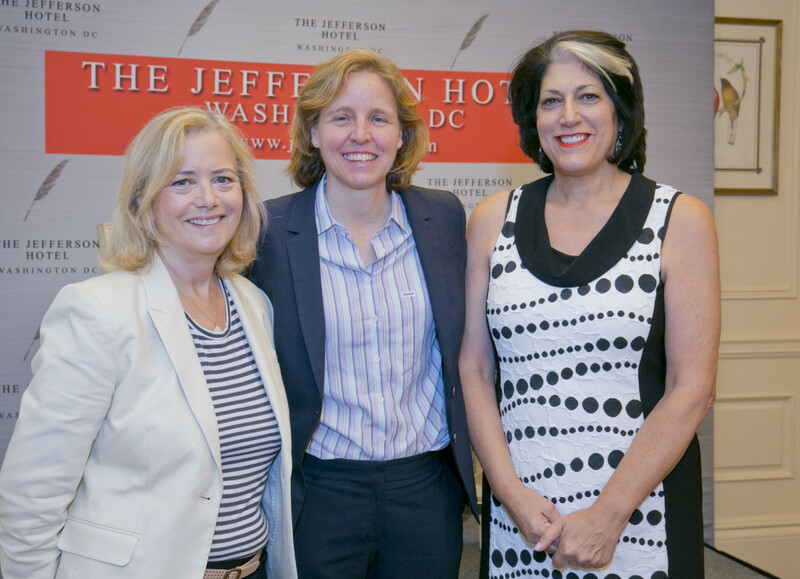 Washington Women Technology Network hosted a lunch honoring Megan Smith, the president’s Chief Technology Officer. 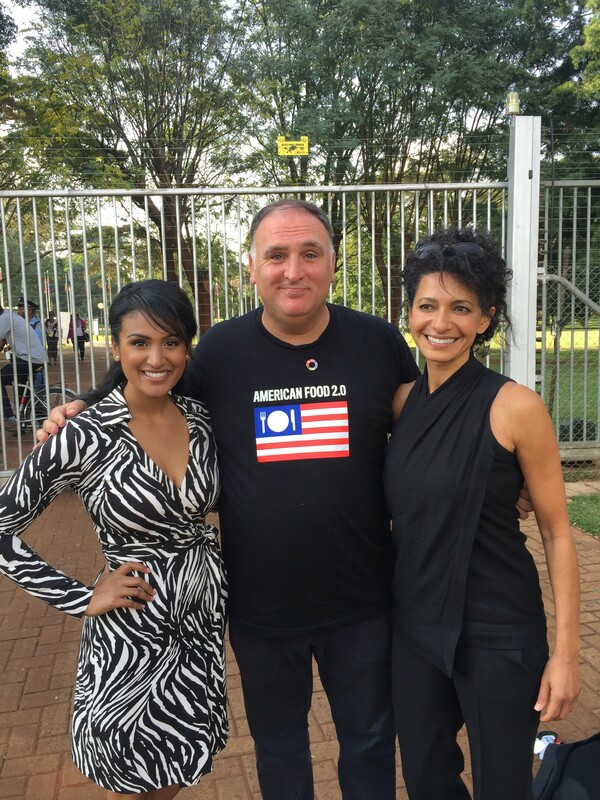 Watch the livestream from the event. The White House Correspondents’ Association election results were announced by the Board and the incoming president, WSJ’s Carol Lee. President for 2017-18: Bloomberg’s Margaret Talev. At-large seat: Margaret Talev. Radio seat: Fox’s Jon Decker. Wire seat: AP’s Julie Pace. For the latest episode of the Trail Talk Podcast, Tammy Haddad and Betsy Fischer Martin spoke with Senator Ted Cruz. Download the podcast on AudioBoom or iTunes. FISCHER MARTIN: We are delighted to welcome Senator Ted Cruz, who was actually the first Republican to enter this crowded Republican field of candidates vying for the White House. He is known for stirring up Washington and he now has a new book called “The Time for Truth”. So now, Senator, with a new book out it really is official that you’re running. SENATOR CRUZ: (Laughter) Well, we’re certainly running hard and we’re having a lot of fun, as well, and it’s been great that the book has been selling a lot of copies. So that’s been – It’s been enjoyable telling my story. I try in the book not to do a typical campaign book, where, you know, so often they are ghost written and you kind of wonder whether the candidate has even read them. SENATOR CRUZ: This is very much my story going back to my grandparents and going through my father being imprisoned and tortured in Cuba and fleeing to America. You know, telling the story of my mother standing up to her Irish father, who was an alcoholic, and, who did not think women should be educated, and my mom stood up to her dad and became the first person in her family to go to college and so I try to really share a personal journey that I hope is interesting and compelling. And at the same time describe really what’s happening behind-the-scenes, both at the US Supreme Court, where I was a law clerk and litigated in front of the court for over a decade, and in then in the United States Senate, and what really happens behind close doors in the Senate. FISCHER MARTIN: And how was that process for you writing a book like this that, like you said, is just – deals with your personal history, your professional history – I know there were parts in there where you talked about learning some lessons about maybe being too cocky in Washington. What was that process like and what did you actually learn from that experience? SENATOR CRUZ: It was great fun. It took about a year to write and I spent a lot of evenings, a lot of time on airplanes with the laptop writing and it was a lot of fun. I try to be candid and self-critical, not have it be just sort of a typical politician yammering, but an honest reflection of the journey and also a discussion of the challenges facing the country. It was also interesting to learn some history about my family. So for example, I spent time sitting down with my mom, sitting down with my dad, getting details of their history. One of the things that I never knew that I found out in the course of writing it, is that my mother’s uncle actually ran the numbers in Wilmington, Delaware. He’s a mobster. SENATOR CRUZ: And my mom’s grandmother used to carry the numbers between two soup pods that were nested, the smaller one would be full of soup, and then she’d put all the numbers in the big one on top and walk out down the street, little old lady, carrying all the numbers for the bookies. FISCHER MARTIN: Wow. And now, you’re an official New York Times bestseller, I guess we should say. SENATOR CRUZ: Well thank you. That was an interesting saga because when the book first went on the market a couple weeks ago, it sold about 12,000 copies, which was the third bestseller in the country and so, we assumed when the list would came out, that if it was the number three seller, it would naturally be number three on the list. SENATOR CRUZ: Well the list came out and it wasn’t in the top 20 and 18 of the 20 books on the list sold fewer books, and most of them a lot fewer books, than mine did and we inquired of the Times why that was and they alleged that their evidence showed quote “strategic bulk purchases.” And my response – I called upon them, well, release your evidence. FISCHER MARTIN: Does that mean when people have a group that they’re speaking to, they buy x amount of books? SENATOR CRUZ: Right, and there have been allegations in the past that some politician goes and surreptitiously buys 5,000 copies of his book to drive up his numbers. SENATOR CRUZ: We didn’t do anything like that to drive up the numbers and so I said, “Look this is a falsehood. If you have evidence, produce the evidence and if you don’t, then issue an apology for imputing our integrity.” What was interesting was what happened afterwards, which is my publisher, HarperCollins, put out a statement that they had investigated the sales and they saw no evidence of bulk purchases and then right after that, Amazon put out a statement and they saw no evidence of bulk purchases and then Barnes and Noble put out a statement. And it really was remarkable for major players in the publishing industry to take on the New York Times is – is something unprecedented. HADDAD: Have you called the editor? You should call the editor and ask them directly. If they got a call from you, maybe they’d give you a different answer. SENATOR CRUZ: …with no explanation, it just appeared on the list this week but they haven’t admitted that what they were saying was false. So what I did call on yesterday was for the Public Editor, Margaret Sullivan, to investigate their methodology. The New York Times is supposed to be a journalistic outlet. Either they have some evidence that HarperCollins, Amazon, Barnes and Noble couldn’t find, in which case, make it public. Or if they don’t, if they were deliberately lying, that is a very troubling thing for a journalistic enterprise, and a real violation of journalistic ethics. So one way or another, seems to me that we ought to focus on it, particularly because it’s been interesting how many conservative authors have reported the same thing, that they get left off the list or they get ranked much lower than their sales deserve, and that the ideological and partisan bias of the Times comes out. HADDAD: But now we have to turn to Donald Trump because you had a meeting, which had everyone talking about this week. How did that meeting come about? SENATOR CRUZ: Oh it was terrific. We had been talking about getting together for some time. In fact, it had been scheduled to occur before he announced for president and we were going to get together and then I got stuck in Washington for votes and so we had to reschedule the meeting. And I’ve gotten together with Donald several times. He’s a friend, he’s someone I like and respect and that’s something I’ve tried to do with a number of the 2016 candidates. Quite a few of them are friends of mine and I think it’s beneficial to have real friendships and treat everyone with respect and so that’s how I’ve tried to treat everyone in the field. HADDAD: A birther charge against you! SENATOR CRUZ: At the end of the day, I do my best to focus on the issues and the substance and particularly in the past couple weeks, I have endeavored to defend Donald. I think a lot of the Republicans candidates have been jumping on their high horse and smacking Donald with sticks and I am not going to go down that road. In fact, I have saluted him for focusing on the issues of illegal immigration and the safety and crime issues that flow from them, which I think a lot of the other candidates don’t want to talk about. HADDAD: But hold on a second because we’ve got this debate coming up and you know, Donald Trump is taking all the media oxygen and the poll numbers. So what if you’re number 11 and Fox doesn’t let you in? And part of it is because you helped Donald Trump because Senator Cruz with Donald Trump, you know, is a much bigger headline than Donald Trump just going up to New Hampshire. SENATOR CRUZ:At the end of the day, I’m not concerned about that. We’ve got incredible support. Look one of the best indications of that is the political news that broke this week, which is all the candidates file their fundraising reports. And out of 16 Republican candidates, do you know where we fell in terms of raising hard money for the campaign? HADDAD: Top of the list. SENATOR CRUZ: We were number one on the list. Raised 14.3 million dollars. Number two is Jeb Bush at $11.4 and you know, I gotta say if three months ago I had sat down with you guys and suggested we were going to out-raise Jeb Bush, you’d have thought I was nuts. And frankly, it would have been nuts to suggest that. I was really astonished that that’s what our supporters were able to accomplish. But what it consisted of was over 175,000 contributions. People from all fifty states, all five territories, going to Ted Cruz.org, making contributions. The average contribution was $81. You know one of the most amazing statistics is that we have one or more Cruz donors in roughly half the zip codes in America, 48.1%. FISCHER MARTIN: But you have somebody like Donald Trump that can just write his own check and doesn’t have to rely on people’s support. Does that trouble you at all? SENATOR CRUZ: Well that’s true but if you look in past elections, there has not been a tremendous record of success for self-funded candidates and the support from the people, in our instance, in roughly half of the zip codes in America having supporters who are going to TedCruz.org or contributing online, that’s meaningful. Every one of those who contributes, they’re going to knock on doors, they’re going to tell other people, they’re going to get online, they’re going to speak out, and they’re going to vote. That’s exactly how I got elected to the Senate was building a grassroots army and it’s encouraging to see the level of support. And even the second piece, on the fundraising side. Obviously everyone has a super PAC. Jeb’s shattered every record ever set. He raised over 100 million dollars. But in second place, on the Super PAC, was ours with 38 million dollars, which puts us at $52 overall. That’s really gratifying because what it means is we’re going to have the resources to go the distance and that’s really a game changing impact. If you think back to 2012. In 2012, Republican primary voters desperately wanted a more conservative alternative to Mitt Romney. So you saw one candidate after another, after another, pop up at the top of the polls. SENATOR CRUZ: The problem was, none of them could raise significant money, so whenever they did, they’d get hit with ten million attack ads and they’d be roadkill. FISCHER MARTIN: ..and they’d have to drop out. SENATOR CRUZ: Yeah. We have not seen a true grassroots movement conservative with serious fundraising ability since 1980, since Ronald Reagan was the last time we had a candidate who could do both. And that is a very, very encouraging development for 2016. FISCHER MARTIN: But back to the debates for a minute though because I know one of the top people in your campaign sent reportedly a letter to the other candidates expressing some concern over the Fox News process of how they’re considering people be admitted in the debates, the polling, etc. What is your concern exactly with the process? SENATOR CRUZ: Well, listen, under any of the measures we’re comfortably in the debates, so it’s not a focus of whether we make the cut or not because we’re easily there. FISCHER MARTIN: Right, so why are you getting involved in.. SENATOR CRUZ: Because if national polls are going to be used to exclude some candidates, which is questionable on its face, then they ought to at least be polls with some indicia of reliability. And so what our head of data analytics reached out to the pollsters on the other campaigns and suggested is that it we agree on some common criteria for what would be a reliable poll. You know some of these polls that are put out nationally have a tiny sample size, have really poor methodology, which on a scientific matter they are not very reliable. SENATOR CRUZ: Well, you know, I guess it wasn’t terribly encouraging that when we were asking that any polls relied on actually be reliable, you would think that a journalistic enterprise would welcome that suggestion. FISCHER MARTIN: Has the party handled this whole debate process the right way this year? FISCHER MARTIN: So you think you could have – you wouldn’t have a problem having 16 people on the stage? SENATOR CRUZ: You know I understand why they’ve done it but I think we ought to – we ought to be empowering the grassroots. From our end, what I’m really focusing on is continuing to do what we’ve done from the beginning, which is energizing and mobilizing the grassroots and the single thing that has been most encouraging is the level of excitement and passion we’re seeing on the ground in the early primary states – Iowa, New Hampshire, South Carolina, and Nevada. When we launched the campaign and we went on a barnstorming tour, everywhere we went we had standing room only crowds. The local press was reporting the crowds coming out for us were much larger, sometimes double the size of any other candidate. That is a very encouraging thing. FISCHER MARTIN: Well to that end, on the conservatives and sort of the religious conservatives, I know you’ve said that you thought 2016, now especially with the Supreme Court ruling on gay marriage, was going to be the religious liberty election. And you’ve also said that you’ve felt some of your fellow candidates, you’ve been sad watching them on that issue because you thought they were running for the hills. Who are you specifically disappointed with on that? SENATOR CRUZ: Well, there has been a real divide and I think religious liberty is a fundamental commitment that is part of who we are. This is a nation – we were founded by men and women who were fleeing religious oppression and were coming to a land where every one of us could worship God with all of our hearts, minds and souls without the government getting in the way. We are seeing on assault, on religious liberty from the federal government on an unprecedented level and I think it’s unfortunate that there are far too many Republicans who are unwilling to stand up and defend religious liberty. From my perspective, defending religious liberty, whether I share the faith or not, defending religious liberty of every American to practice his or her faith and to live according to his or her faith and conscience, has been a passion of mine for over two decades. I’ve got a long record of fighting to defend religious liberty and it is disappointing that more than a few Republicans, for example, when the fight in Indiana over religious liberty was waging, more than a few Republicans chose not to stand up and defend our fundamental values. HADDAD: Senator Cruz, I’m going to change the conversation around a little because I need your help on something. I have a 16 year old daughter who I want desperately to get into the debate club because I think her whole life would change if she learned how to debate and you’re own of the great debaters of all time, a great lawyer, a great litigator, great lawyer in the Supreme Court. Can you give me any advice on how to convince her to do that and are your kids in the debate club? SENATOR CRUZ: Well my daughters are four and seven. FISCHER MARTIN: They’re keeping track! SENATOR CRUZ: So you thought you guys in the media were tough, you should try my daughter Caroline. HADDAD: That’s why I need your help. SENATOR CRUZ: Well look, I found debate a wonderful learning experience in college. It was something that I spent a lot of time on. It really helped you understand issues, understand how to think, how to reason, how to persuade, understand people who disagree with you. That’s really an incredibly helpful skill is to understand those on the opposite side of an issue. One thing that might help, I mentioned my new book “A Time for Truth”, I actually talk quite a bit about the time I spent debating in college. It might be something your daughter would enjoy reading those portions and maybe even some of the other portions, as well, such as when I was clerking at the Supreme Court and what that was like. FISCHER MARTIN: One of the big debates though that’s now going to be taking more center stage with this agreement that the president announced with Iran. You’re opposed to that but what exactly are you opposed to and why do you think that this agreement doesn’t prevent Iran from getting a nuclear weapon? SENATOR CRUZ: This Iranian nuclear agreement is one of the most catastrophic mistakes in foreign policy and I believe it poses a profound threat to our national security. It does a number of things. Number one, it ensures and accelerates Iran acquiring a nuclear weapon. It allows Iran to keep every single centrifuge that they have and to keep quite a few of them still spinning. It allows them to keep much of their enriched uranium. It does nothing to stop their ICBM program, which exists for one purpose and purpose only, and that’s to carry a nuclear warhead to the United States of America. And it does nothing to stop Iran from remaining the world’s leading state sponsor of terrorism. So a number of things will happen if this deal goes through and I very much hope that it does not. I hope that the Congress stops it. FISCHER MARTIN: What can you do to stop it? SENATOR CRUZ: Well for the next 60 days – We have 60 days to debate it and I expect near the end of that 60 days we will vote on a resolution of disapproval. Unfortunately, the way the Congressional Review Act was written, the president can veto a resolution of disapproval, which means we need two-thirds in the Senate and two-thirds in the House to stop this terrible deal. I intend to do everything I can and energize and mobilize the American people to call on our elected officials, in particular to call on Democrats to value national security and the safety and lives of American citizens more than simple partisan loyalty to the Obama White House. You know two days ago I was on a panel discussion with former Democratic Senator Joe Lieberman and Joe emphatically agreed with me that this deal was catastrophically dangerous both for America and for Israel and a point that I made in that discussion is that the – you know I said, I hope that in the next 60 days, we see arise more Lieberman Democrats. You know there was a time when you had Scoop Jackson Democrats. You had people like JFK who were Democrats who took national security seriously, were willing to stand up as JFK was to the communists. That is largely extinct among today’s congressional Democrats. I hope that they can get back to what should be the first priority for any elected official, and that is protecting the national security of this country because if Iran acquires nuclear weapons, it is a nation that is led by theocratic zealots who lead chants of death to America and who glorify death and suicide. The odds are unacceptably high, Iran would use a nuclear weapon, and what we know to an absolutely certainty, if this Obama nuclear deal goes through, billions of dollars will flow into Iran and they will use that money to give it to Hezbollah, to Hamas, to the Houthis, to radical Islamic terrorists across the globe. If this deal is implemented, and this is not hyperbole, the Obama administration will become the world’s leading financier of radical Islamic terrorists of jihadists who will murder Americans, who will murder Israelis, who will murder Europeans. It makes no sense whatsoever and I hope we stop it. FISCHER MARTIN: And what if in 2017 President Cruz is in office, the deal has gone through, what does President Cruz then do? SENATOR CRUZ: Under no circumstances would I allow Iran to acquire nuclear weapons and I believe any responsible commander-in-chief should be prepared to do whatever is necessary to prevent Iran from acquiring nuclear weapons because if they acquired those weapons, the odds are unacceptably high that they would use them in the skies of Tel Aviv or New York or Los Angeles, that getting this decision wrong could result in the deaths of millions of Americans and in fact, it’s even worse than that. One of the greatest threats of an Iranian nuke is if they had one nuclear warhead and they put it on a ship anywhere off the Atlantic seaboard and they fired it on a missile straight up in the air into the atmosphere and detonated a nuclear weapon, it would set off what is known as an electromagnetic pulse, an EMP, which would take down the electrical grid for the entire eastern seaboard. The projections are that tens of millions of Americans would die, as they are unable to get food and water and the basic foodstuffs of life. That’s the threat President Obama’s nuclear deal provides and anyone who is remotely qualified to be commander-in-chief needs to be prepared to do whatever is necessary to prevent a threat that could cost the lives of tens of millions of Americans. HADDAD: Thank you Senator Cruz. We appreciate you being on Trail Talk. SENATOR CRUZ: Well thank you for having me. I’ve enjoyed it. HADDAD: I’m Tammy Haddad here with Betsy Fischer Martin. Special thanks to Senator Ted Cruz for being with us today on Trail Talk. 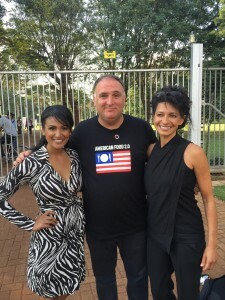 Also we want to thank Feature Story News, our production partner and our friend, Rob Flynn. Remember you can follow us on @TrailTalkPod right on Twitter. HBO’s DC-themed comedy series, Veep, was nominated in 9 categories during Emmy Awards announcements on Thursday. Andy Samberg will host the 2015 Primetime Emmy Awards on September 20. Fox will broadcast the show live from the Microsoft Theater in downtown Los Angeles. First Lady Michelle Obama has redecorated the White House State Dining Room for the first time since the Clinton Administration. Photo courtesy of the Associated Press. The White House State Dining Room, the top destination for locals and dignitaries, has been redecorated by First Lady Michelle Obama for the first time since the Clinton administration. The changes include new curtains, whose peacock blue and ecru stripes compliment the “Kailua” blue in the Obama state china service, both of which incorporate a Hawaiian feel from Obama’s home state. The new mahogany, custom-made chairs, however, take influence from President James Monroe’s chair selection for the East Room in 1818. A new blue-green, custom-made rug was also acquired, which includes designs from the ceiling of the dining room in its intricately woven stitching. Installment on two new rugs, so they could be switched out for cleaning, began in 2012. In total, the redecoration cost the privately funded White House Historical Association’s White House Endowment Trust $590,000. The Old Family Dining Room, which Michelle Obama redecorated earlier this year, cost $290,000 and now sports a more modern feel with abstract art and bold colors. 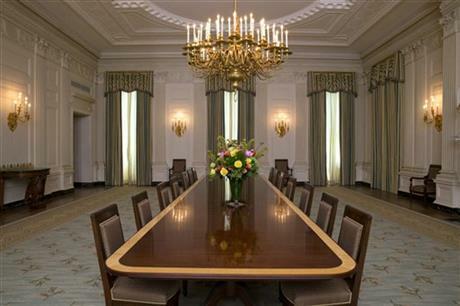 Read more about the State Dining Room’s redecoration on bigstory.ap.org. Following are excerpts from the Washington Insider podcast featuring Nobel Peace Prize winner, Kailash Satyarthi. Download the podcast on AudioBoom or iTunes. “Some sort of spark was generated when I was only…five and a half years old. It was the first day of my schooling, when I was entering into school, I saw a boy my age sitting outside. I stood for a while and I asked my teacher, when I went in my classroom, why is he not with us in a classroom? I asked to my headmaster and later on to my friends and family members, and all of them tried to convince me that it is not uncommon, that children have to work if they’re poor and nothing is special in it. “Well I had a very good meeting with the White House today. 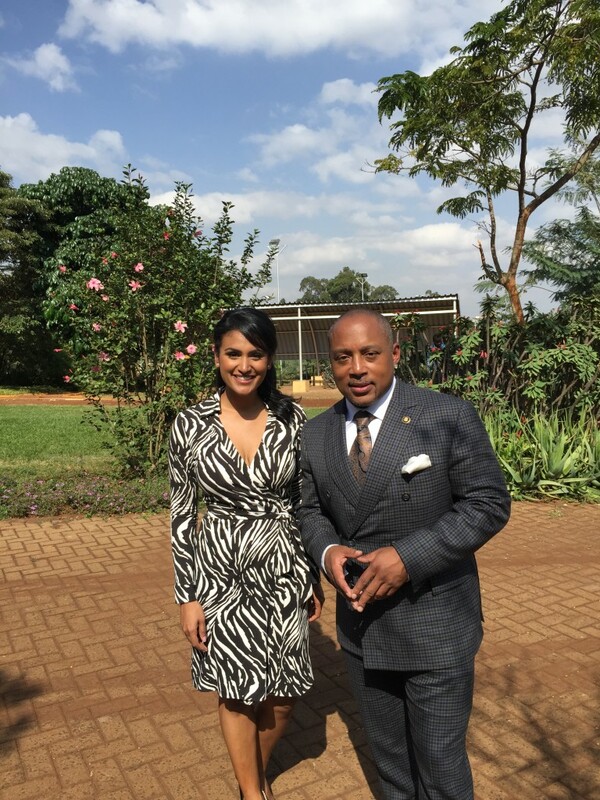 And a couple of months ago I had a very good meeting with President Obama when he was visiting India and the First Lady, both. And we have discussed all these issues of child labor, child slavery, the role of corporate sector, rather the responsibility and the accountability of the international corporations. We did work on it. “When I started in 1981, there was nothing with UNICEF, ILO, with any organization of United Nations. The UN system started assessing the magnitude of the problem about say, 16-17 years ago. And at that time, the number of child laborers in the world was – only 17 years ago – number of child laborers in the world was 260 million, approximately. And that has gone down to 168 million, just in this short time. It’s a long time for the children, but in the human history it is short time. In 17-18 years, we were able to do it. We can achieve it. The number of out-of-school children was 130 million. That has been decreased to 68 million and then now, the recent figure is 58 million. “The world is so interconnected, at least after 9/11, it’s very clear that the problem could be born in one part of the world and the entire world has to suffer. Terrorism is interconnected and unfortunately it is growing. Global warming and climate change is interconnected, which is growing. Nobody can say that we are safe and let the world become warmer and warmer, the climate may change and we are safe. No, no. So is the issue of children. If we are not able to address the problem of children now, if we are not going to ensure them good quality, free, inclusive education, then we cannot live in a peaceful and safe world.